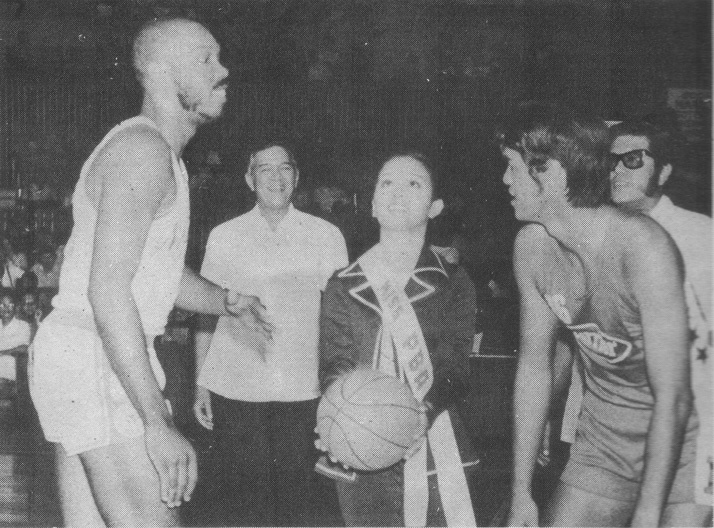 In the 1971 Asian Basketball Conference (ABC) in Tokyo, the Philippines once again took the bridesmaid role, losing the crown to host Japan. Clearly, basketball supremacy in Asia was no longer ours. 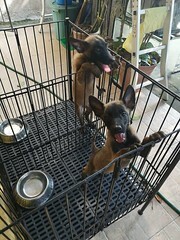 Teams from Korea, Japan, Israel and a looming giant, China, were now seriously contending, not to mention the Mideast countries with their taller, heftier breed of bullies. In 1972, the Philippines got some measure of revenge by upending the Japanese team in the Summer Olympics in Germany. We ended up 13th among the world’s best, but the consolation victory over Japan made us – however unofficially – Asia’s best for the period. In 1973, the ABC wars were once again held in Manila. With the entire nation rallying behind the team, William Adornado would take the Most Outstanding Player Award and lead the Philippine quintet to the championship. Along with upcoming stars Ramon ‘El Presidente’ Fernandez, Francis Arnaiz, Alberto Guidaben; plus veterans Bobby ‘Big J’ Jaworski, Alberto ‘Big Boy’ Reynoso, Jaime Mariano and Rogelio ‘Tembong’ Melencio, the team would mow down the opposition, including such prominent stars as Korea’s Shin Dong Pa, Japan’s Masatomo Taniguchi and Shigeaki Abe.The other members, all of whom would later stamp their mark in Philippine Basketball, were Manny Paner, Rosalio Martirez, Dave Regullano and Ricardo Cleofas. Conspicuously absent were two of the country’s top gunners, Jun Papa and Danny Florencio, both of whom had earlier been banished by the Basketball Association of the Philippines (BAP) for alleged game-fixing. Back in the local front, rivalries between Crispa and Meralco – to be replaced later by Crispa and Toyota – would catch the imagination of discerning fans. The Crispa game-fixing scandal would actually auger well for the team, as the replacement batch composed of Fortunato ‘Atoy’ Co, Philip Cesar, Alfredo Hubalde, Albert Guidaben and Bernard Fabiosa would form the core of the most successful and arguably the most popular team in the PBA ever. Confronting them were Toyota’s Jaworski, Arnaiz, Fernandez, Rodolfo Segura and Abe King. Games between the two protagonists would always be filled with drama, oftentimes leading to violence. A jam-packed Crispa-Toyota game was always full of drama and physical action. But amid all the euphoria, and despite the immense popularity of the game, trouble was brewing in the local scene. Players were asking for better compensation for their talents, and the MICAA’s amateur stand would not allow this. A set-up similar to the National Basketball Association (NBA) in America was then proposed. This would allow players to finally be able to freely accept salaries for their pains and hard work on the floor, not to mention the possibility of serious injuries. Indeed, basketball was their livelihood now, and they wanted just compensation to help them prepare for their future. 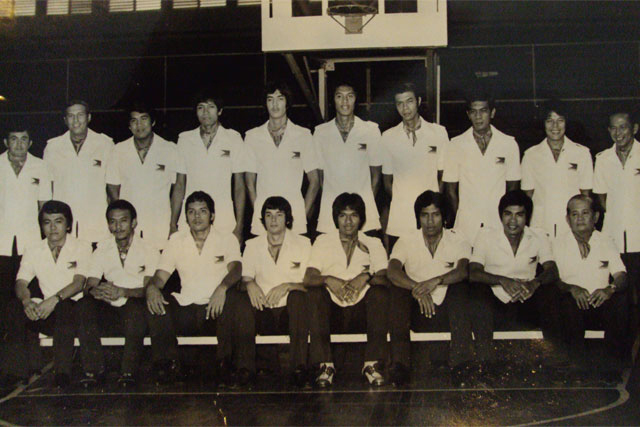 Thus, in 1975, the Philippine Basketball Association was born, founded by 9 teams that bolted the MICAA in a bold move, leaving the BAP and saying goodbye to their amateur days. 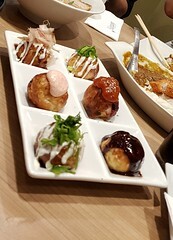 The PBA was the first professional basketball league in Asia, and the second oldest in the world, next only to the NBA. Leopoldo Prieto, coach of the national team for the 1956 Melbourne Olympics, became the league’s first commissioner. The downside to this move was that by turning professional, our top players could no longer play in international FIBA-sanctioned tournaments. Many fans were disheartened by the move, lamenting the fact that the country would have to be represented henceforth by amateurs who, most felt, could not seriously compete against the region’s top players. But the intense Crispa – Toyota wars would make the fans forget all that. The Toyota Tamaraws would take first blood, winning the first tourney in the inaugural season of the PBA. 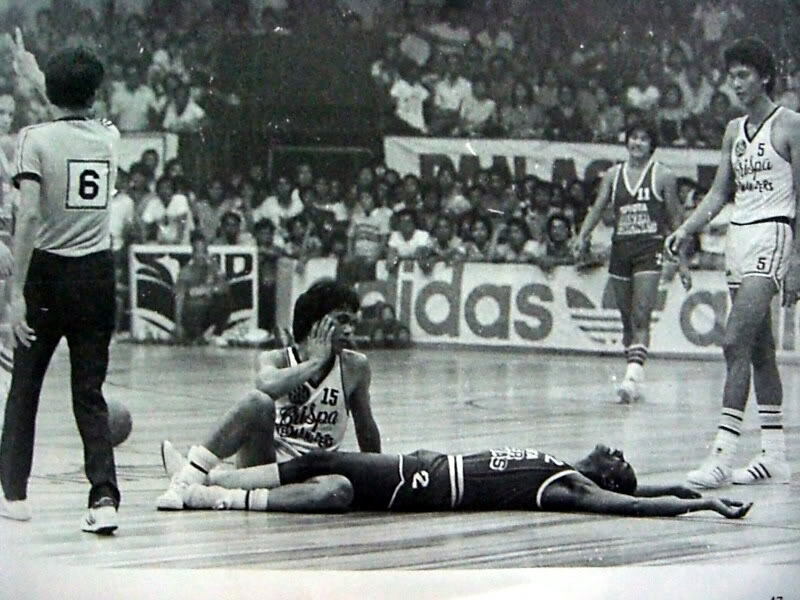 but right at the get-go, in their very first game in the PBA in 1975, with Crispa already assured of winning, Toyota’s Oscar Rocha would plant a fist on Bernie Fabiosa’s kisser, signalling the start of a long, protracted grudge fight to last a lifetime. Again, in the opening game of the 1977 season, a full-blown rumble ensued after a close Crispa win, sending both prominent teams to jail for a night. To the Crispa-Toyota diehard fans, each game was war, the object of which was not just to win, but to pulverize the enemy. Crispa -Toyota battles at their best. All told, the two rivals would take 11 of the first 12 championships on the first 4 years of the PBA, with U-Tex – starring import Glenn McDonald – stealing a crown in 1978. There were also stars and imports from other teams that could woo more fans. From Royal Tru- Orange, there was Estoy Estrada, Concepcion had Joy Dionisio, U-Tex had Lim Eng Beng, Mariwasa had the comebacking Jun Papa, Toyota had a prize-catch in Arnie Tuadles (first rookie to make the mythical 5 selection). Among the colorful imports, there was the likeable Andy Fields, Bruce ‘Sky’ King, Tom Cowart, Cyrus Mann, and loads of others. 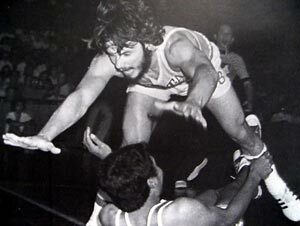 Despite the lack of international forays, Philippine Basketball in the 70s to the early 80s was booming. The Crispa-Toyota rivalry will be remembered as arguably the best years of the PBA. The birth of the PBA ushered in a new era in Philippine basketball. We bade goodbye to Asian basketball dominance; but interest in the sport continued, thanks to the healthy rivalry between Crispa and Toyota. Relive those pioneering days in the PBA when Jawo battled Atoy Co and company in jam-packed crowds at the Araneta Coliseum.